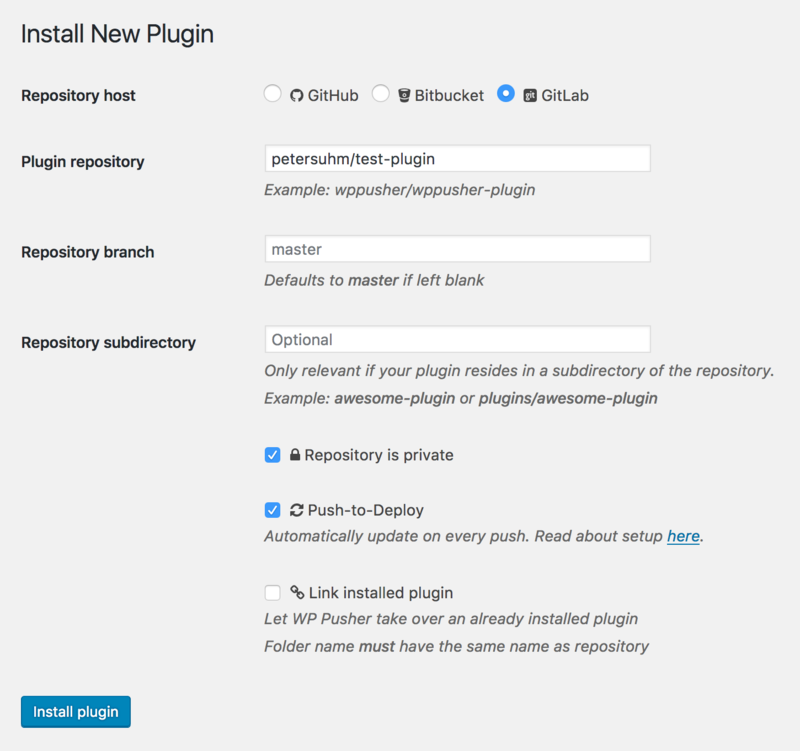 When you install a plugin or theme from GitLab, you can optionally enable Push-to-Deploy. When enabled and configured, a webhook on GitLab will trigger an update every time you push new code to your repository. Once the plugin is installed, head over to the plugins/themes overview in WP Pusher ( in the sidebar: "WP Pusher" -> "Plugins/Theme") and fetch the Push-to-Deploy URL for your plugin or theme. 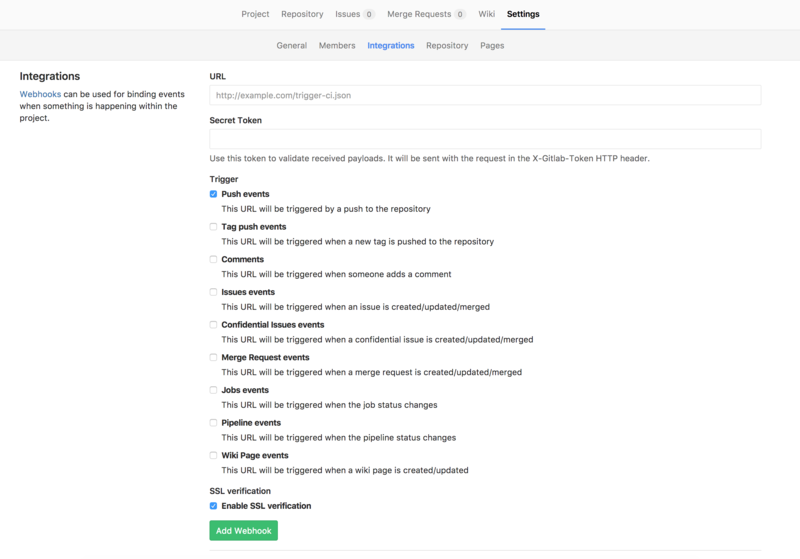 Log into GitLab, navigate to the "Integrations" tab of the repository settings and create a new webhook with the Push-to-Deploy URL.